Ever fancied a career in hospitality? Well, Cocktail Cash has you covered! 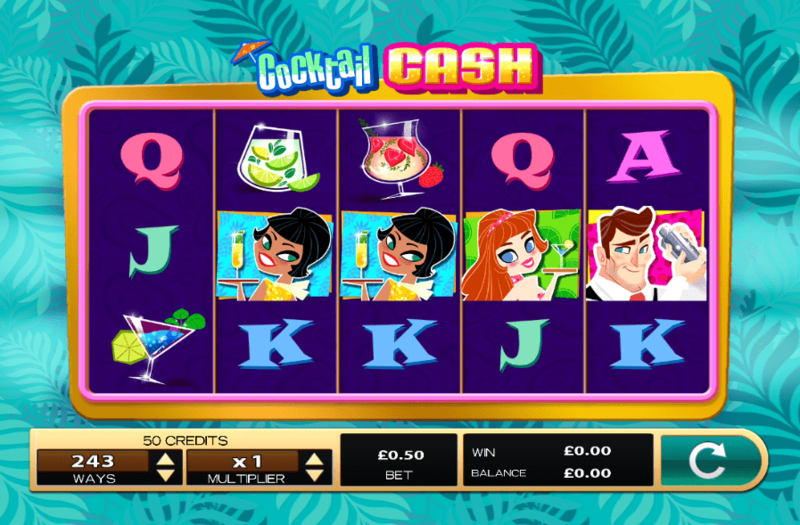 If you’ve had the pleasure of being served from developer High 5 Gaming in the past then you should already have an idea on what you’re going to get from Cocktail Cash, a 5x3 slot that comes to you with 20 pay lines for your gaming pleasure. This slot is very early into its life cycle but already has it managed to pique the interest of gamers across the globe. The game is a very simple one to play, which is more than likely the reason for its popularity. If you love outlandish colours and whatnot, then this one will be a sure-fire favourite no problem! Be sure to check out the rest of the review below for some additional info on this highly enjoyable new video slots from High 5 Games. 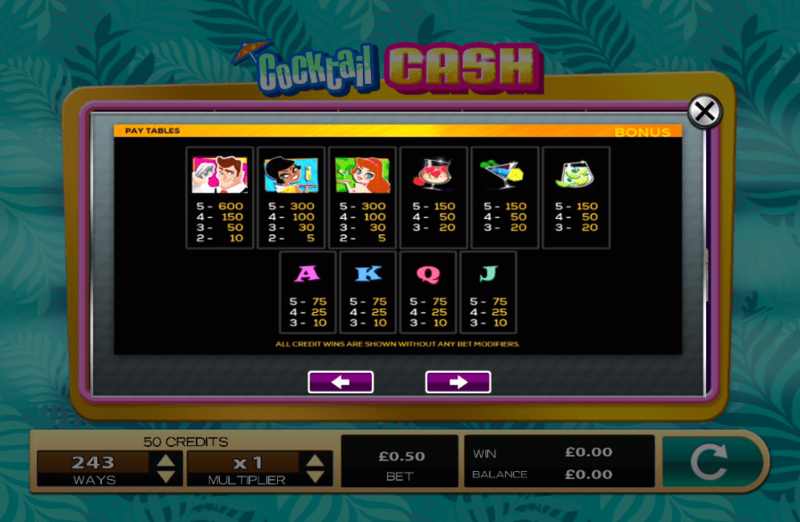 As we’ve already mentioned above, this slot is a very bright and colourful one, it appears as though you are working in a very lively establishment too, given the number of customers who are entering the bar! Grab a drink and enjoy the best slot in town! Wilds: Wilds are very useful that they will cause more scatters to enter the game. The wilds will substitute the symbols close to it whenever you match them in winning lines. The more wilds you match, the more scatters you put into the game. Wilds also come with quite the cash bonus too! Scatter: Scatters are symbols you will want to be chasing if you are looking for big scores and high payouts. Scatters when matched equal free spins, which come with additional multipliers that will only see your scores skyrocket as a result!